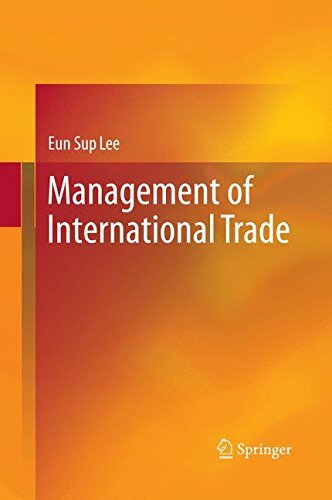 Product Description: This book examines the administrative and practical aspects of international commerce. It helps readers decide on and manage complex international business transactions, including in- and outsourcing problems, exports and imports. 9783642304026 | Springer Verlag, January 3, 2013, cover price $99.00 | About this edition: Under the current multilateral trading system, most business entities have turned their attention away from focusing exclusively on their domestic market to the management of international business transactions on the global market. 9783642448386 | Springer Verlag, June 24, 2015, cover price $99.00 | About this edition: This book examines the administrative and practical aspects of international commerce. 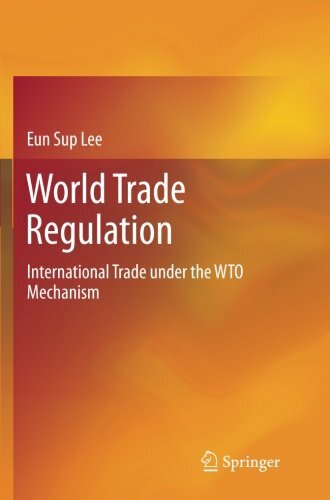 Product Description: This book conveys a comprehensive view of the WTO as the provider of a framework for certainty, security and stability in international trade, and shows how regulations must be considered when designing and implementing trade strategies in the global market. 9783642311420 | Springer Verlag, December 12, 2012, cover price $99.00 | About this edition: âThe institutional and legal status of the WTO, with its integrated dispute settlement system, provides a framework for certainty, security and stability for trade as well as a coherent system to protect intellectual property rights. 9783642445712 | Springer Verlag, January 29, 2015, cover price $99.00 | About this edition: This book conveys a comprehensive view of the WTO as the provider of a framework for certainty, security and stability in international trade, and shows how regulations must be considered when designing and implementing trade strategies in the global market.